My kind of decorating - simple. I love this clear vase tulip arrangement from Trader Joe's - they will be blooming soon! 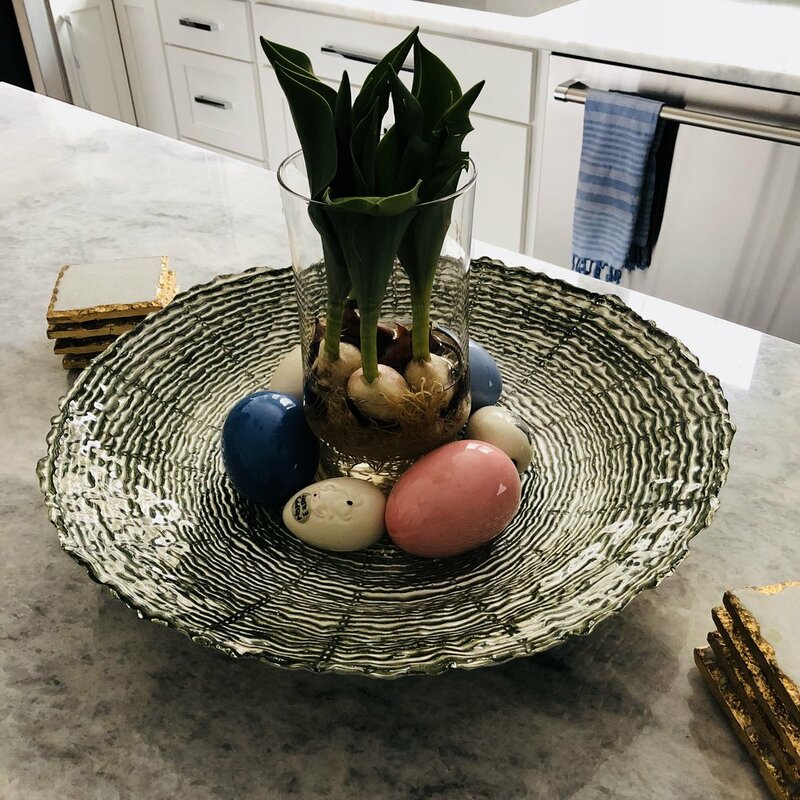 I paired it with a bowl from Crate & Barrel, which is several years old and ceramic colored eggs, which were gifted to me by my mom!